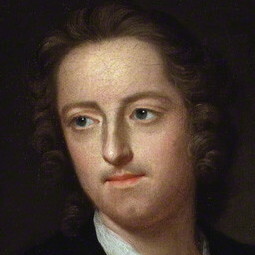 The Thomas Gray Archive is a peer-reviewed digital archive and research project devoted to eighteenth-century poet, letter-writer, and scholar Thomas Gray (1716-1771), author of the acclaimed "Elegy Written in a Country Churchyard" (1751). Founded in 2000, the Archive's mission is to facilitate collaboration and to support the study, research, and teaching of Gray's life and works. Gray was a versatile writer. His slim but wide-ranging corpus comprises lyric and dramatic poems, humorous and satirical pieces, imitations and translations, written in English, Latin, and Greek. Gray was also a polymath. His interests and areas of expertise included literature, philosophy, history, sciences, architecture, art, geography and travel. He went on the Grand Tour with Horace Walpole and later in life devoted himself to antiquarian studies, spent time studying at the newly opened British Museum, and travelling in the Lakes and Scotland. His biographer William Mason concluded "[p]erhaps he was the most learned man in Europe" (qt. Johnson, 'The Life of Gray' ). The Thomas Gray Archive was co-founded by Reimer Eck (Göttingen State and University Library) and Alexander Huber (Bodleian Libraries, University of Oxford) who is also its editor. See About for further information.